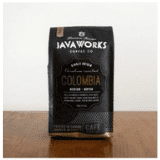 Home » How to Buy the Best Colombian Coffee Beans Every. Single. Time. How to Buy the Best Colombian Coffee Beans Every. Single. Time. Colombia is the third largest coffee growing country, providing almost 10% of the world’s supply. Pretty amazing when you consider there are roughly 70 different countries where coffee is produced. And for those of us who rely on a cup (or pot) to get through morning commutes, afternoon meetings, and after-dinner delights, we’re buying the stuff like crazy, to the tune of about 11 million bags per year. So how do you find the best beans? Find out when it was roasted. Regardless of all the fanciful names etched across bags and boxes on the coffee aisle, the world of java consists primarily of two types of beans: Arabica and Robusta. Colombia is one of a few countries that only produce Arabica, which means they’ve gotten pretty good at it. It all starts with the right environment, and Colombia’s is perfectly suited to yield bountiful harvests of premium beans. The moist volcanic-infused soil, tropical climate, and optimal elevation provide farmers with a trifecta of prime growing conditions. It may seem like a no-brainer, but the wonderful flavor of Colombian finest coffee is why we keep filling our mugs with it. Silky smooth and soft, with hints of chocolate, fruit, and caramel, Arabica black coffee brews are mild and easy to sip. Set foot in any major U.S. coffee chain and that latte with extra foam that keeps you bright-eyed and alert will more than likely have been crafted with Arabica beans. Interesting to note is that while we down cup after cup in search of just enough of a kick to help us push through the day, Arabica actually contains only about half the amount of caffeine of Robusta. While the notion of less caffeine may seem to fly in the face of “more is better” when it comes to stimulants, know that the more caffeine a brew contains, the more bitter it’ll generally taste. So while you may get less of a jolt from Arabica, you may find that you’re able to drink more of it, in the long run, thanks to a much more palatable taste. Are you a dark roast guy or gal? Do you dig the decaf, or prefer jet fuel in a cup? No matter your personal preferences for taste, flavors, and roasts, there’s sure to be a brew just for you. There are a couple of steps, however, that can ensure that no matter what variety of Colombian coffee you prefer, you’ll always have the freshest and best tasting available. Way back in 1927, The National Federation of Coffee Growers of Colombia (FNC) was formed as a way to promote the production of authentic Colombian coffee. The group devised a quick and simple way to tell if a product contains authentic Colombian beans, and it employs the image of someone you’re probably already very familiar with. Only products that contain 100% authentic Colombian beans are allowed to incorporate the famous imagery of Juan Valdez on their packaging. 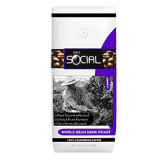 It serves as reassurance that your bag of beans is genuine and free of fillers or inferior blends. The FNC also maintains and makes available a list of roasters and retailers around the world who are committed to providing only authentic Colombian coffee. That list can be viewed here. Aside from the image of that handsome mustachioed coffee farmer, the following guidelines can help with your purchasing decisions. The best coffees have nothing to hide. Find the ingredient list on the package and read it. If the label doesn’t say 100% Colombian coffee, then it’s not the real deal. It probably contains a blend of other products, and it doesn’t warrant your consideration. Put it back where you found it. In order to experience the richest flavor, beans should be brewed anywhere from a few days up to about 3 weeks from the roasting date. Anything more than that and you may as well be drinking gas station swill. Reputable roasters will often publish the roasting date right on the package, but in some cases, you may have to ask for it. This holds especially true when shopping online and inspecting a physical package simply isn’t possible. If a roaster refuses to tell you or, worse yet, can’t tell you when the beans were roasted, then it’s not the brand for you. True connoisseurs of the cuppa know that whole beans are the only way to go. Once the bean has been ground, it immediately begins to lose some of the wonderful taste and aroma we should expect from it. Buy whole beans instead, grind them before you intend to use them, and you’ll enjoy a brew the way it was meant to be. Has there ever been a bigger boon to commerce than the internet? Thanks to your ISP, you can order and try out good coffee directly from the manufacturers themselves. Or maybe you even have a brick-and-mortar shop close by that roasts their own beans. The takeaway here is that by purchasing direct, you’ll be getting the freshest beans available, instead of something that’s been collecting dust on a grocery store shelf. So armed with your newfound knowledge of how to purchase the best beans that money can buy, you’re ready to set out on your own journey into discovering all of the amazing tastes and aromas that Colombian coffee has to offer. But with so many choices readily available at your fingertips, where exactly do you begin? We scoured the ‘net to find a few retailers that will be more than happy to scratch your coffee itch, and have even provided a few recommendations to some of their more popular products. This list should by no means be considered exhaustive, nor is one brand considered better than another. Its purpose is simply to be used as a jumping off point and help you get started on your own journey into exquisite coffee. If you know good coffee, you know Juan Valdez. The iconic farmer with his trusty mule Conchita has been reppin’ pure Colombian coffee since 1958. Today, their 100% Colombian Arabica can be found in brick-and-mortar shops all around the world, as well as in supermarkets and specialty retailers. 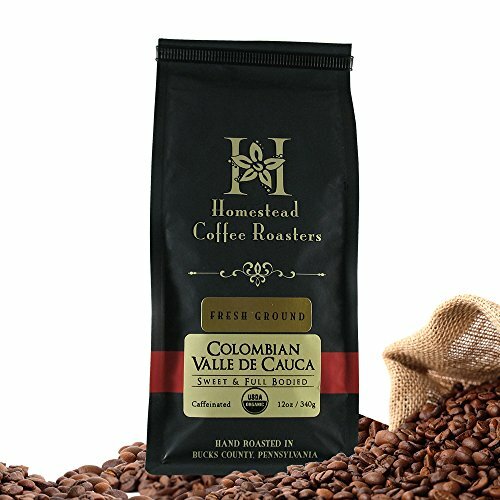 Even better than their type of coffee is the fact that a portion of every purchase goes right back into helping Colombian families do what they do best, and that grows great beans. With a tagline that reads “No Blends, No Mixes, Fresh Roasted Coffee,” this family-owned roaster in Madison, WI sources their beans direct from their farm in Quindio, Colombia. 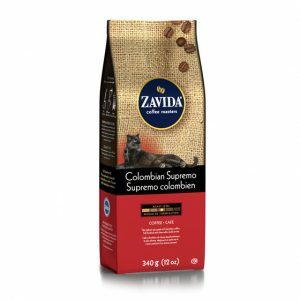 Founded in 1980, Zavida Coffee Roasters has been delivering exquisite Colombian roasts for well over three decades. They’re not only committed to making great coffee; they believe in taking care of the environment too. For every purchase made via their site, they’ll plant a tree in areas of need. 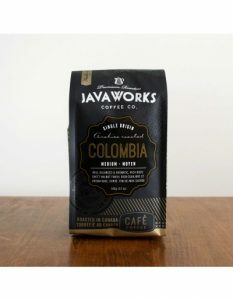 Ontario, Canada-based roaster Java Works Coffee Co. has been fueling residents of the Great White North since 1968, and since then, the family-owned business has been supplying shops and consumers both local and abroad with delicious, finest coffee. Their four-step cupping process is utilized across all beans, whether it’s something new the shop is considering carrying or a beloved favorite to ensure quality and consistency. The great thing about coffee is it’s such a personal exploration, one that’s meant to be experienced and enjoyed by each individual on their own terms, or simply as a small cup of black coffee, and Colombia has something to offer coffee drinkers from all walks of life. Try different roasts and flavors. Pair them with favorite meals and find the combinations that work best for you. But most importantly, enjoy the process of discovery, and trust that half a million Colombian coffee connoisseur wouldn’t steer you wrong. There’s no doubt that the coffee industry and coffee producers in Colombia is producing the type of coffee you need to try! 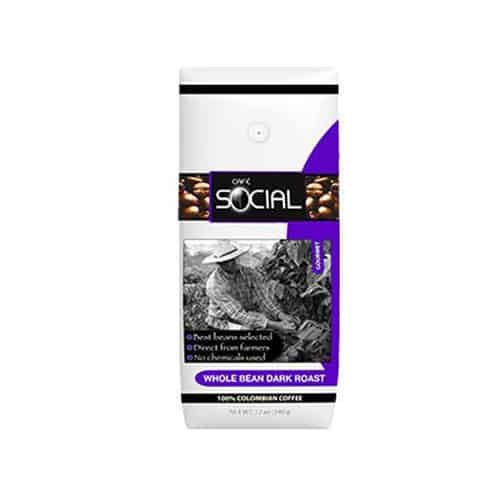 No Blends, No Mixes, Fresh Roasted Coffee Sweetly bold chocolate $6.25 for 12 oz. For every purchase made via their site, they’ll plant a tree in areas of need. Sweet, Chocolate $11.95 for 12 oz. 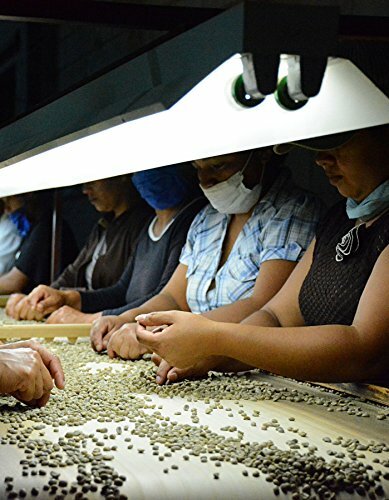 Their four-step cupping process is utilized across all beans. Citrus, Milk Chocolate, Butterscotch $12.95 for 12 oz.